If you didn't know already (how can you not), Little Mix grabbed their second No.1 single with 'Black Magic' this weekend. Their fellow chart rival was on hand to give them some support. It was only two weeks ago that Jess Glynne and Tinie Tempah had been crushing it at the top of the Vodafone Big Top 40 before Lost Frequencies stole the No.1 slot. However Jess was still very much in the battle for No.1 this weekend against the likes of Avicii, Sam Feldt and of course Little Mix. This didn't stop Jess posting a sweet video to her Little Mix pals to show how much she is loving 'Black Magic'. It wasn't long until Jesy, Jade, Perrie and Leigh-Anne captured the top prize and #Mixers around the world rejoiced. 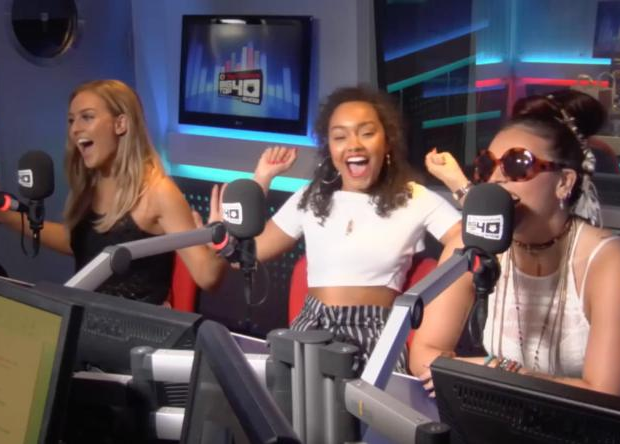 Watch the moment Little Mix captured their second No.1 with 'Black Magic'.